My main research emphasis is the study of the physical processes responsible for the observed radiation from accreting stellar-mass and supermassive black holes and neutron stars. Observationally, I have made extensive use of data from X-ray satellites such as the Rossi X-ray Timing Explorer, ASCA, ROSAT, Suzaku, Chandra, XMM-Newton, INTEGRAL, and NuSTAR as well as simultaneous optical and radio observations. This work is not only limited on spectral studies, as a major emphasis has been on characterizing and understanding the temporal behavior of these sources on timescales from milli-seconds to years. I have also developed parallel Monte Carlo algorithms for the numerical simulation of Comptonization in Accretion Disk Coronae, and worked on Monte Carlo simulations of the cyclotron resonance scattering features ("cyclotron lines") forming in the strong magnetic fields on the polar caps of accreting neutron stars. 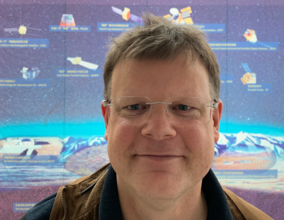 Recently, a large fraction of my time has also been spent in getting involved with the preparation of future space astronomy missions, such as the eROSITA instrument on-board Spectrum-X-Gamma, or the studies for SIMBOL-X, MIRAX, LOFT, IXO, Athena and Athena+. I am also interested in astronomical outreach and the history of astronomy, due to the location of our institute on the historic grounds of Remeis-Observatory. Please use the links on the left side of this page if you are interested in more information.